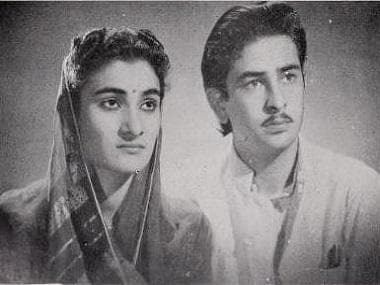 In May 1946, Raj Kapoor married Krishna Malhotra and the couple had five children -- three sons, Randhir, Rishi and Rajiv, and two daughters, Ritu and Rima. Krishna Raj Kapoor, wife of legendary actor Raj Kapoor, passed away Monday due to cardiac arrest. "My mother passed away at about 5 am today due to cardiac arrest... Old age was another factor. We are deeply saddened by her demise," son Randhir told PTI. She was the sister of renowned actors Rajendra Nath, Prem Nath and Narendra Nath. Her sister Uma is married to veteran actor Prem Chopra. The last rites will be performed at Chembur crematorium, Randhir said. Riddhima Kapoor Sahni took to Instagram to pay tributes to her grandmother. "I love you - I will always love you - RIP dadi," Sahni captioned two photographs with her. Bollywood personalities such as Soha Ali Khan, Raveena Tandon and Anupam Kher, among others took to social media to offer condolences. Soha paid respects and called Kapoor "an incredible personality full of life and passion". "I am so sorry to hear of the passing of #KrishnaRajKapoor. The few times I interacted with her were so memorable; she was an incredible personality full of life and passion and with never a hair out place! She will be missed greatly. My deepest condolences to the family," she wrote. Raveena, who was one of the first film personalities to react to Kapoor's death, described her demise as the end of an era. "Condolences to the entire Kapoor family. An era passes away,#KrishnaRajKapoor. God give you strength, and may the soul rest in peace. Om Shanti," she wrote, tagging Kapoor's son Rishi Kapoor, who is currently in the US for medical treatment. "Deeply saddened to learn about the sad demise of Smt #KrishnaRajKapoorJi. She was one of the most dignified and affectionate ladies that I met. May her soul rest in peace. My condolences to the entire Kapoor and Nanda family. Om Shanti," Anupam Kher wrote on the microblogging site.